Now human beings have attained the means to destroy not only each other, but also all of nature. Children in Chernobyl are the victims of this deadly development. Their future and ours cannot be separated, but are linked closely together. At the time of the accident Tanya was 4 years old. 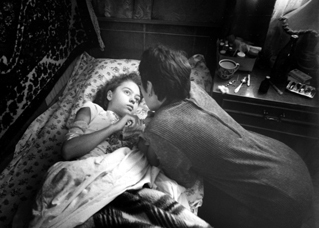 She was exposed to radiation in Pripyat, a town near the Chernobyl Nuclear Power Station, where she happened to visit with her grandmother. Her thyroid gland cancer was not discovered until it metastasized to her lungs and brain. She died on 16th January 1997. All rights reserved. For query, please send a mail to cherno1986@tokyo.email.ne.jp.